EVERYDAYPLUMBER.com is a Family Owned, Honest, and Affordable Plumbing Services Company providing our Hillsborough, Pasco, and Pinellas customers with professional, timely, and quality service. From Leak Repair, Drain Cleaning, Sinks, Tubs, Toilets, Water Heaters, Garbage Disposals, Drain Jetting, Sewer Line Repair, Re-Pipes, to Water Filtration Systems; no job is too small or too big. You can rely on the fast response and professional service you will receive form our licensed and experienced Tampa Plumbers. We value and respect the space you call home and will provide attention to detail with a service guarantee that ensures unmatched plumbing and drain cleaning services. We look forward to welcoming you as a customer and being your preferred Tampa Bay area plumbing contractor. 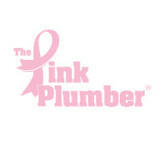 Turn to the experienced plumbers at The Pink Plumber for prompt solutions to your plumbing problems. Those in need of a plumber in Tampa, FL, or the surrounding areas can expect immediate assistance from a qualified plumber that is both friendly and professional. We value your time and respond quickly to all residential service calls. If you have a severe water leak or some other major plumbing problem, our emergency plumbers are available 24/7. 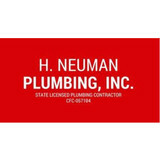 H. Neuman Plumbing is a family-owned company, owned and operated by Harry Neuman, and is based out of St. Pete Beach, Florida. From routine maintenance to new construction and home renovations, our experienced technicians are here to service you. We are pleased to say that we have been serving the Bay Area for 20 years now, and have previously served the St. Louis, Missouri area for 20. So when you're in need of great local plumbers with excellent plumbing knowledge, customer service, and reasonable prices, call H. Neuman Plumbing, Inc. today. We are a full service plumbing & electrical company established in 1980 that believes in a customer first approach and focus on quality. Please see our website for more information. Customer service and value are as important to us, as it is important to you, so you've come to the right place. We provide fast response commercial and residential service: repair, installation, drain cleaning, trench-less pipe replacement and re-lining. We offer 24-hour emergency repair service 24 hours a day. Our professional, experienced, courteous staff will help assist you in your every plumbing need. Our mission is to provide fast, clean service... every time! We are 100% committed to providing excellent service and high quality products to fit your specific needs. All our plumbing technicians are completely qualified and trained. All technicians are in uniform and insured for your safety. We have the experience, equipment, and everything necessary to handle your plumbing needs. We use modern methods, and we believe that satisfied customers are the key to success. That's why our work is 100% guaranteed. 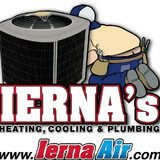 We provide air conditioning and heating installation and repair in Tampa and surrounding areas. If you are in need of services ranging from indoor air testing to air conditioning maintenance, we can help! -Complete Plumbing and Remodeling Services Shasta Development LLC has been serving as a leading Renovation and Plumbing Contractor since 2002. As a professional fully-licensed General Contractor and Plumbing Contractor, I’m ready to tackle anything from the most complex and large scale construction renovation projects to the smallest of repair jobs. I’m fueled by my commitment to excellence and go the extra mile to make sure my clients are completely satisfied with my work. Call to schedule an initial consultation today. You can expect friendly service, reasonable pricing, and knowledgeable technicians, 24 hours a day, seven days a week. We promise to treat every home as if it was our own. Charles Hero Plumbing Inc in Tampa, Florida, is the smart choice for all of your plumbing needs. Our licensed and fully insured company has a great reputation for quality, and we offer a one-year workmanship guarantee. Furthermore, our certified, courteous, and uniformed professionals handle jobs of all sizes, with expert repair, maintenance, and installation services. We provide the highest quality service in our markets at prices that can't be beat. However, we also care deeply about our community and the ongoing battles it faces. So in an effort to help combat a major issue that has affected our lives, we have joined the battle against breast cancer. We are plumbers on a mission to help all those that suffer in any way we can. If you're like most people, what you like most about plumbing is knowing that it’s working. Life is great when it is, and not quite so good when it isn’t. What sets us apart from the competition is that we offer both Plumbing & Water Treatment solutions. In addition, our team of experts is well qualified, courteous and professional and will always do their best to take care of you as timely as possible. It goes without saying that after 68 years in business, we have the knowledge and experience that has earned us our good reputation because we take pride in the quality of our work and getting it done right. So, whether you’re building a new house, remodeling an existing one or worst case scenario having problems, we are well equipped to take care of all of your Plumbing and Water Treatment related needs. Please do not hesitate to call with any questions or for a free quote. We look forward to hearing from you. Since 2005, Continental Plumbing Services has been helping the Clearwater & New Port Richey area improve the plumbing systems in their homes and businesses. When you need equipment repaired or a new fixture installed, trust their professional plumbers to get the job done right the first time. Applying their extensive experience, impressive knowledge, and advanced skill to every project, the team at Continental Plumbing Services can restore your system to optimal condition in no time. Whether you need a fast fix or a complete home remodel, they have the power and know-how to help you achieve your goals. With affordable pricing, convenient financing options, and outstanding customer service, Continental Plumbing Services is the best team for the job, no matter what. Call them today to schedule an appointment or request emergency plumbing services. A plumbing contractor handles the installation and repair of water, sewage and natural gas pipes throughout a home, as well as interior and exterior faucets and fixtures. Plumbing contractors are also trained to work with water mains, septic tanks, laundry appliances, water heaters, sump pumps and other plumbing and pipe systems. Because plumbing repair work is done largely behind walls and beneath floors, some plumbing companies can also patch or replace tile, stonework and other surfaces. Although some Egypt Lake-Leto plumbers are generalists, others specialize in specific areas; a 24 hour emergency plumber will handle urgent residential repairs, while others may be more skilled in remodeling, natural gas lines, overhead sprinkler systems and more. Find a local Egypt Lake-Leto plumber on Houzz. Narrow your search in the Professionals section of the website to plumbing contractors in Egypt Lake-Leto, FL. You may also look through photos of Egypt Lake-Leto, FL projects to find a licensed plumber who has worked on a project similar to yours. Here are some related professionals and vendors to complement the work of plumbers: General Contractors, Septic Tanks & Systems, Kitchen & Bath Designers, Kitchen & Bath Remodelers.